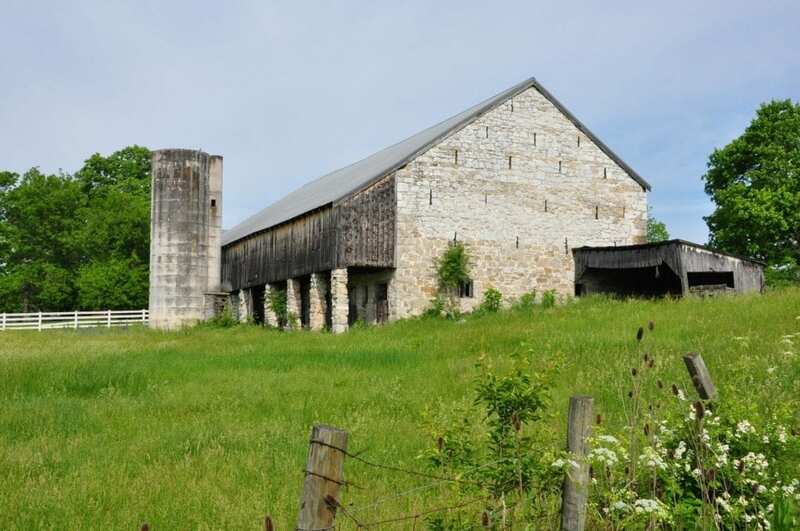 A historic stone barn awaits the harvest in West Virginia’s eastern panhandle. Photo courtesy David Sibray. The West Virginia Agriculture Advisory Board has released a five year-strategic plan for West Virginia agriculture, which Commissioner of Agricultural Ken Leonhardt says he hopes to initiate immediately. Titled “A Shared Agenda for Growing West Virginia’s Agricultural Economy,” the plan focuses on several areas—connecting producers to market opportunities, creating infrastructure needed to grow the agriculture economy, developing the next generation of agricultural industry leaders, and enhancing access to land. The aim of the plan is to ensure that all of West Virginia benefits economically from the efforts of its hard-working agricultural community, according to Commissioner of Agriculture Kent Leonhardt. “We have found there are a lot of folks doing great things to improve agriculture in West Virginia. What we were missing was a road map on how to work together,” Leonhardt said. Steve Bonanno, dean of the WVU Extension Service, emphasized the role of agriculture in remastering the state economy. “There is no doubt that agriculture plays a significant role in the future of West Virginia’s economic prosperity,” Bonanno said. The agriculture advisory board is comprised of Leonhardt, Bonanno, and Governor Jim Justice. To facilitate development of the plan, the board appointed a steering committee of stakeholders, including representatives from the West Virginia Department of Agriculture, the West Virginia Farm Bureau, the USDA Natural Resources Conservation Service, the West Virginia Conservation Agency, the WVU Extension Service, WVU Davis College of Agriculture, Natural Resources and Design, and the West Virginia State University Extension Service. The final report includes input from over 850 participants who either took an online survey or attended one of 14 regional meetings over the last. The committee then hired Fourth Economy in 2018 to conduct a market analysis as well surveys, interviews and stakeholder meetings. Leonhardt says he hopes to implement the plan immediately. The full report and strategic actions are available at wvagadvisory.com. The West Virginia Department of Agriculture protects plant, animal and human health through a variety of scientific, regulatory and consumer protection programs. The Commissioner of Agriculture is one of six statewide elected officials who sits on the Board of Public Works.